Bosch XDK110 Cross-Domain Development Kit allows for rapid prototyping of sensor-based products and applications for the Internet of Things (IoT). This wireless sensor device cuts time and cost for IoT applications and offers the freedom of programming at a basic or advanced level. 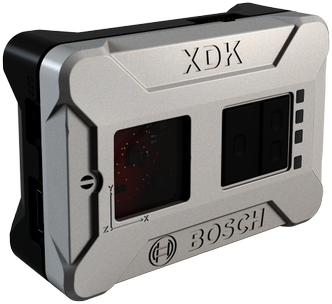 The XDK110 is an integrated product inclusive of multiple Micro-Electromechanical Systems (MEMS) sensors. Access the XDK developer community for active information exchange, knowledge sharing, technical support and more. The device was designed for an easy transition from prototype to mass production by providing a clear road to product development.